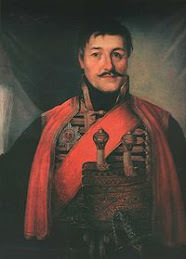 My beloved and heroic Serbs! 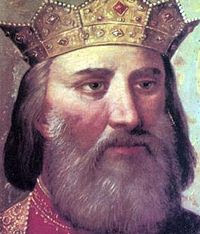 A great evil assails our Serbia. Austria-Hungary has declared war on us. Now we must join together and be heroes. 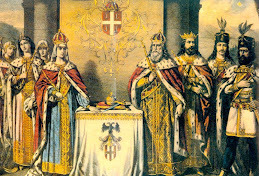 The troubles of our Kingdom and our people with Austria-Hungary did not begin yesterday. 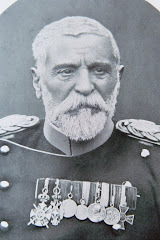 Whenever Vienna was in need, it would give solemn promises of treating Serbs and Croats justly; yet they always remained unfulfilled. In vain did the Serb and Croat frontiersmen, and many of our other heroes, spill blood throughout Europe for the glory and profit of the Viennese court; in vain were the victims that Serbia suffered under the reign of my Grandfather, when it defended the Emperor’s throne from his discontented and rebellious subjects; in vain had Serbia done everything it could to live in friendship with the neighboring Empire. It availed us nothing. 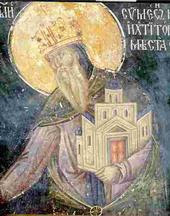 Both Serbia as a state, and Serbs as a people, have ever and everywhere been under suspicion, and kept subjugated to others. Thirty-six years ago, Austria took the Serb lands of Bosnia and Herzegovina, which had risen for their liberation. Six years ago, it finally claimed them against the law, promising constitutional liberties. But insofar as they were given, they did not please the people in the least. All of that had created deep discontent among the people, especially among the growing and impetuous youth, causing unrest and eventually the assassination in Sarajevo. 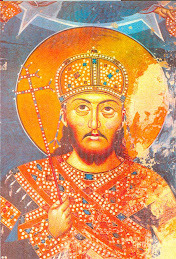 Serbia expressed sincere sympathy over that fateful event, condemned it, and proclaimed readiness to render unto the courts every accomplice: only to quickly realize, with consternation, that the Austrians blamed for the [event] not their own rotten rule, or individual culprits, but the Kingdom of Serbia herself. 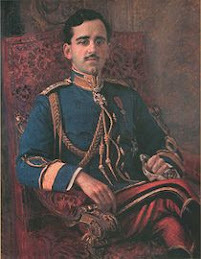 Even though the murder was committed by one man, their subject, with the aid of several comrades, in their country, before their own authorities, the Austrians blamed our officers and officials, the Serbian government, and eventually the Kingdom of Serbia and all Serbs wherever they may be. Such an accusation against a sovereign state for someone else’s misdeeds is without precedent in European history, while the crimes of such nature  are unfortunately not. 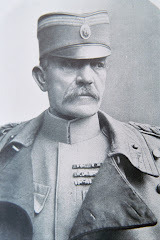 Meaning to blame us, the Austro-Hungarian government submitted on the 10th (23rd) of this month  to My Government an unusual memorandum, making demands and strong accusations, and demanding of Serbia a satisfactory response within 48 hours. 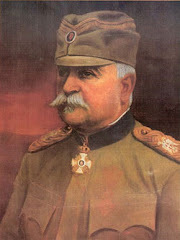 My Government, responding to the desires of the people and the need for peace felt not only by Serbia but Europe entire, wished to avoid confrontation at all cost, and therefore met the demands of the Austro-Hungarian government to the utmost limits of deference, beyond which no independent state could go. 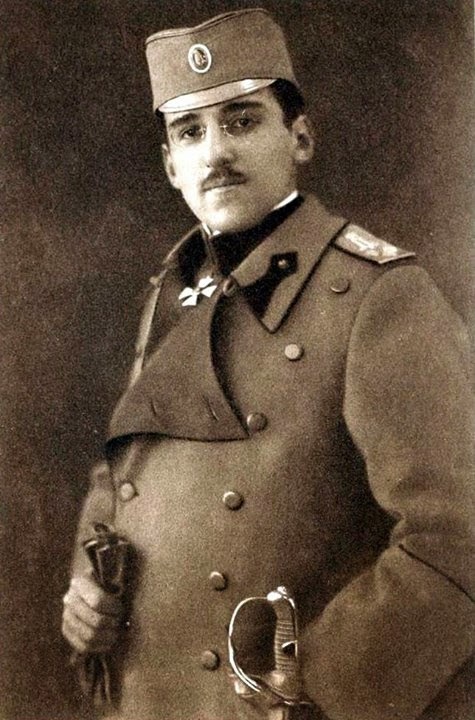 When the Austro-Hungarian ambassador was informed of this, he immediately said his government was not pleased with our response, and ceased diplomatic relations with My Government. 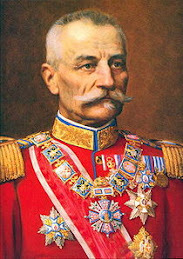 Then all the friendly states – led by the brotherly Russia – attempted to persuade the Austro-Hungarian government to accept a peaceful resolution to the dispute. Unfortunately, the Viennese statesmen remained deaf to the advice motivated by wisdom and interests of humanity. They declared war on us yesterday, not hesitating to cause unforeseeable circumstances of further complications. 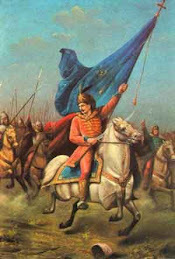 With a heavy heart and aware of all perils and difficulties, at the very moment when Serbia’s warriors were preparing to reap the bountiful harvest of their labors, I am forced to call on all of My dear and courageous Serbs under the Serbian tricolor [banner], convinced that they will once again be worthy of their glorious ancestors the way they have been last year and the year before. 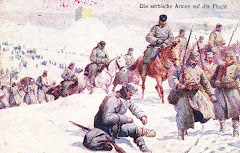 With faith in the Almighty God, with hopes for the sympathy of the enlightened humanity and the final victory of our just cause, with confidence in assistance from our great kinsmen and trusted friends, together with our heroic brothers the Serbs of Montenegro, we shall accept the battle that was so wantonly imposed on us. In our glorious history, both old and new, there are many testimonials of Serbs, working together, defeating a much more powerful foe. 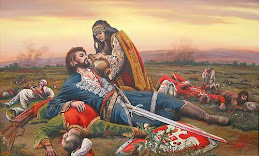 Let us testify once again that Serbs can bear sacrifices for their Fatherland and summon up the effort of Obilić  to defend her against the great host of a cruel enemy. 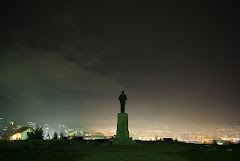 Serbs, defend your hearths and your kin with all your strength! 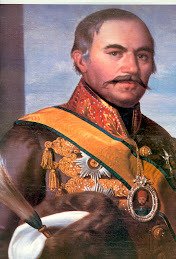 Prince Aleksandar is using the Old Style, Julian calendar, still in effect in Serbia at the time.